This beautiful stairway utilizes handrail with a left-hand and right-hand volute, three different types of iron balusters, and false treads and risers. The iron baluster series is especially striking as it features a plain straight baluster, a double basket baluster, and a nautilus scroll baluster. 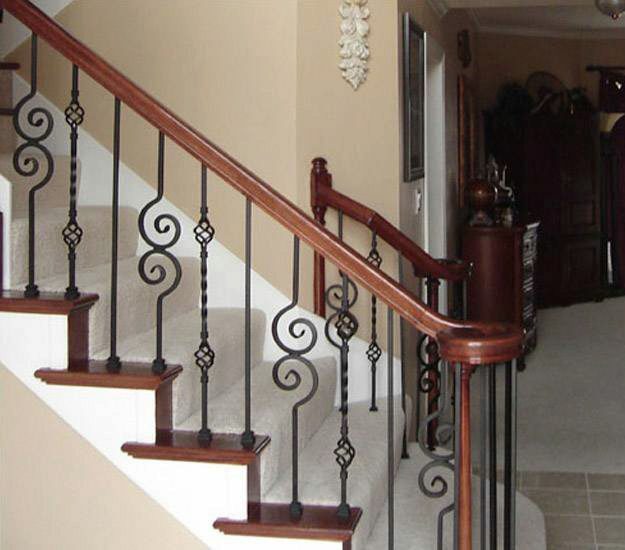 Click here to view your entire Wrought Iron Baluster offering.